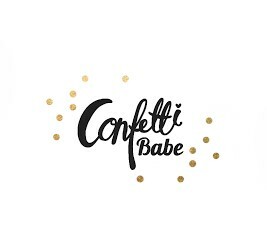 Confetti Babe: But... I was just at the movies! Looking at everyone's birth story, I'm a tad bit jealous. I don't have beautiful pictures of before and during. I have cell phone pictures for the after (which I still cherish even if they're not professional.) I had planned to have a photographer there. I had an appointment to meet her in a week. Everything happened so fast and I was totally caught off guard. I mean, I know labor can come at any time of the pregnancy and I should've been prepared for it, but I wasn't. I made plans to meet people, made plans for my birthday, and plans to go shopping for the nursery (finally). Still, a part of me should've expected it, especially because two weeks before the birth I had to be in the hospital for a week because of high blood pressure/a pre-eclamlasia scare. I had a horrible first trimester. Sick and nauseous every day, but never threw up. (Which, in my opinion, is worse than throwing up. I'd rather get it over with, than have the feeling with me all day.) I had a breezy second trimester except for extreme fatigue. My third trimester was bad, because I was in the hospital a lot. My blood pressure was doing crazy things, which was weird, because I have never had any problems with it in the past. It was our first date night in a long time. My husband had been working a lot, and if I wasn't in the hospital, I was on bed rest at home. Nesting all that I could nest. I got all ready, and even posted an Instagram photo. I had posted my birth plan (you can find it here) that morning. It was well thought out. I hadn't printed it yet, I thought I had time. We went to dinner and we went to go see Insidious 2 (which my husband still says that's what cause me to go into labor, ha ha) and then we went home and I took a shower and all that jazz. It was about 1AM. We were watching something on TV when I laughed and though I peed myself. I hadn't done it all of my pregnancy but I heard it was something that could happen, so I went to check. Well I didn't, but I had to pee anyways, lol. I stood up, flushed the toilet (tmi, sorry!) and as I was washing my hands, it happened. Everyone says your water breaking will NOT be 'dramatic' like the movies. All clear amniotic fluid, fast, and gushing everywhere. I heard it usually is a "bloody show" and comes out slowly. No, it wasn't like that. It was a gush. Everywhere. I had back cramps earlier that day, but I started having back pain early in my pregnancy so I didn't think anything of it. I honestly still thought I could've peed myself. I was only 36 & 5 days, I didn't think I was going into labor! I had no contractions either. I went to tell my husband (who then got antsy) and I said I would wait to see what happens in a few minutes because I didn't want to be that woman who goes and she's not really in labor. Then it happened again, in front of him. At that point, he TOLD me to get dressed and started getting the stuff ready. I had half a go bag ready. We didn't have a crib. I'm glad we ordered the car seat already. I kept changing my clothes and underwear and they kept getting soaked. It got to the point where my husband said to just forget it and he put a towel on the seat where I sat. We were on our way at 2:30 and still no contractions. We got to the hospital and it was around 3:00 AM, although I felt like we only spent 5 minutes driving because my husband was going so fast (did yours freak out more than you, too?) The first step I took out of the car, I felt it. The first contraction. It hurt like a really bad cramp. And then another one. And another. And I felt like every second I got more, and they got worse. They wheeled me to labor and delivery. I was calm still, although I was kind of crouching over in the seat cause it hurt. I got checked in, wheeled to my room, and they gave me stuff to get dressed. The trip to the bathroom to change turned into me being in there for about 45 minutes. I thought my stomach was upset. I felt like I had to go, and I had BAD cramps at this time to where I wanted to pass out. I still kind of didn't think it was labor related. Finally they got me to go out into the room and they had me sit down and gave me something. I don't know what it was, but it KIND of eased the pain at the moment. The resident came in to check me out. She asked if I had gotten checked to see if I was effaced or dilated any at my appointment. I had never been checked at all. I hadn't even gotten to that appointment. I was at a 5 and 100% effaced. The contractions got bad. Really bad. So bad that I was crying to the nurse to PLEASE call them to give me my epidural. There was a lot of sweat, tears, and a few choice words for awhile. Finally the anesthesiologist came in and gave me the epidural and like THAT, it was kind of gone. It felt like baby cramps now. A while had passed and I scooted up and bed and the nurse said, "Wow, you can move?" Uhm, yes? Am I not supposed to? She gave me a worried look. Then I was like... Oh, I'm not supposed to be able to move. It was my worst fear. The epidural not working. It had to have though! I wasn't feeling bad pain. I ended up passing out until 11:30 AM and woke up to EXCRUCIATING pain, and my family. They live three hours away and they had just gotten there. The pain was from Kendalynn dropping down and I was crowning. I felt panicked, because she said I would have to start pushing soon. I felt so rushed, I just woke up from a nap! As if I didn't need anymore reason to panic, the nurse then informs me that my epidural worked 65-75% and that's why I was feeling that pain, and it was only going to get worse. And it did. And I wanted to push, I had to push. It was the only thing relieving the pain. I pushed for 3 minutes and then BAM. A beautiful baby girl. She was really purple and bruised, and yellow and her head was cone shaped. We were worried. They didn't tell me anything until after the weighing and measuring. She had gotten stuck at around 7-8 cm and that's why her head took to that shape. They said it should be normal in a few days. The bruising was from the pushing. She had jaundice though. They handed her to me so I could try to breastfeed. I was going to be a breastfeeding warrior. The first time was a little awkward, I didn't know what I was doing. She barely latched on, and I thought, well that's normal for the first time, right?